The Pisces man and the Virgo woman are two very different personalities and it shows in their relationship. Maintaining this relationship will be like organising chaos. It is very interesting to see what elements are able to cause harmony between these two signs. The Pisces man has a blurry outlook in life and sometimes may just like to drift along. This is a strict no-no for the Taurus woman who likes order, routine and organisation. More importantly, she tends to be very critical of those who are not organised! This may not go well with the Pisces man who is sensitive and may see this critical attitude as extremely rude. Be warned, this is a straight road to arguments, depression, and game over. This can be dealt by the Pisces man being a bit more focused. It can be as little as showing up on time, putting things in the place they belong to or even being more organised in his day to day routines. The Pisces man does not have to try too hard. All he needs to do is show that he is not complacent and making efforts to be in tune with what is expected of him. The Virgo woman on the other hand needs to be aware of this disharmony in attitudes and careful of the extent of her critical attitude. She will need to remember that the Pisces man is gentle and will not appreciate fierce and aggressive outbursts. However, it is not all negative as these differences can be managed by a compromising attitude between both partners. If both can manage to arrive half way, it will add balance and substance to the Pisces man’s blurry attitude and calm to the Virgo woman’s crisp outlook. Romance levels in this relationship will vary and can be highly vulnerable to the moods of both partners. If there is an argument between the pedantic Virgo woman and the lazy Pisces man, exchange of words will flow through and affect both partners mentally and emotionally. 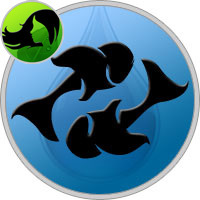 The Pisces man is sensitive and less tolerant to behaviour that he may see as rude. However it is not long before the two "fight and make up". Bitter sweet moments like these will end up in cosy cuddles and one thing may lead to another. Funnily, due to the vast difference in habits, both partners may consider themselves to be the rock and guiding force in the relationship. This may work in their favour at times. The Pisces man’s trait to tend to the needs of his partner will step in at times and he will use his charm to sweep the Virgo woman of her feet. The Virgo woman on the other hand will use her abilities to offer practicability and reality to the Pisces man’s problems. He will respond well and show appreciation. Love relationship between the Pisces man and the Virgo woman are sparky. It is hard for things to go wrong when you have a man who is willing to go to lengths to please his partner, and on the other you have a woman who may seem very serious at times, but has a burning passion inside her. This is dangerous chemistry at its peak and explosions are frequent. The Virgo woman will adore the sensitive Pisces man’s approach in the bedroom and in turn, may even show some dominance to excite him. The dreamy Pisces man may see his fantasies come true in the bedroom. What the two need to be aware of is to leave all their troubles outside the bedroom. Arguments that get drawn inside may sizzle out the flame at times. Tolerance is the key work in this relationship. The chaotic energy between the two needs to be toned down by active participation by both partners. The Pisces man and the Virgo woman will love to spend time with each other. It is only moments of disagreement that need to be handled appropriately. It is important for both to know that differences may ultimately lead the two to go in different directions; hence it is important to maintain a certain balance at all times. A solid foundation is vital to the relationship. The Pisces man needs to maintain a higher degree of awareness in his life and the Virgo woman needs to allow herself to loosen up a bit. This relationship is tough to maintain, but once the seeds for adaptability have been sowed, a long and bright future is possible.